Offered for sale with a no vendor chain is this recently modernised two bedroom semi detached house situated in this popular area of Conisbrough close to local amenities and public transport services. Comprising Front Entrance Porch, Lounge, Kitchen/Diner with a range of wall and base units, Utility Room. Two Bedrooms, Family Bathroom fitted with separate shower, white WC, bath and hand basin. 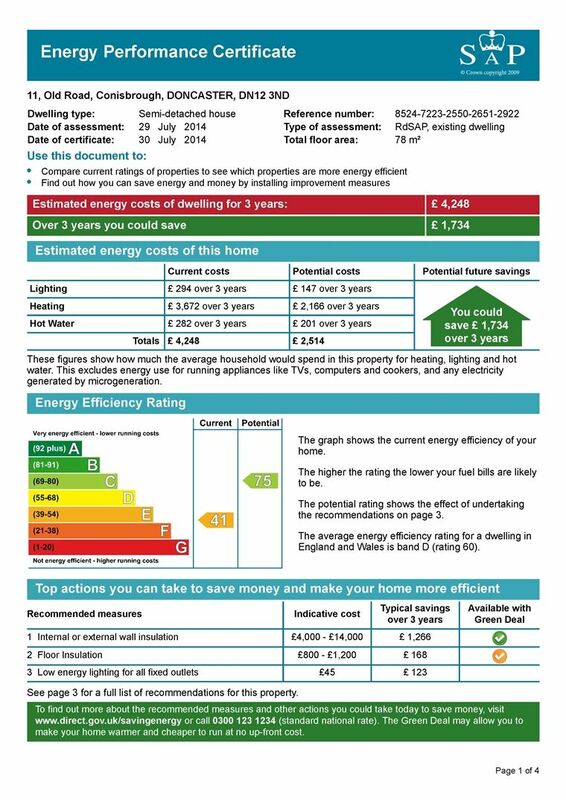 Benefiting from Upvc double glazing, and gas central heating. UPVC door leading to porch area, internal door leading to the kitchen/diner. Front facing UPVC window, two gas central heating radiators, electric fire, UPVC patio doors leading to the rear yard. Modern double aspect kitchen fitted with a range of "white" wall and base units, complimentary black marble effect work tops and part tiled walls, stainless steel extractor fan, stainless steel sink with mixer tap and double gas central heating radiator. Double aspect UPVC windows, two double gas central heating radiators. Front facing UPVC window, gas central heating radiator. Having a front facing UPVC window, separate shower cubicle, white low level WC, bath, hand basin and complimentary part tiled walls, chrome heated towel rail. Leading from the kitchen and housing the boiler, plumbing for an automatic washing machine, UPVC door leading to the rear yard. Good sized enclosed rear yard.